How many of us would kill to have a crystal ball to show us questions we’ll receive on the NCLEX-RN? Seems impossible though, right? Wrong! Thousands of nurses have been taking the NCLEX-RN and their combined knowledge as given us some helpful hints on passing. Ahead are 3 subjects to know before taking the NCLEX-RN. They might surprise you. I wish I would have known these before taking the exam. Check out my experience taking the NCLEX-RN here. Often times we get caught up in the details we hear in nursing school – know nursing fundamentals, know your meds (all 3 bajillion of them!!! ), prepare for hard math questions, etc. Though these aren’t bad suggestions, they sometimes can be misleading. The NCLEX-RN often tests some of the most basic concepts in interesting ways. Knowing how the NCLEX-RN works and having a studying gameplan are paramount to success. So let’s dive deeper. What’s on the exam….. Questions regarding prioritization are heavily tested on. Interestingly, much of your studying on fundamentals, med/surg, critical care, OB, psych, etc. will be tested through these questions. Generally, the best way to become comfortable with these questions is to see a lot of them. So practice, practice, practice. Be sure to read the rationales and watch out for tricks. A patient who’s nauseous might seem less priority than someone bleeding but if they vomit it’s an airway issue! So make sure you get plenty of experience working through these questions. Delegation questions are getting trickier every year. Not only do they test your medical knowledge, but they also test it with NAs & LVNs, new grads, and floating nurses. All of a sudden there’s a lot to think about when delegating. It’s a combination of prioritization and knowing the scopes of practice for these other roles. Get some extra help and pick up this book. Once again, the various content areas you’ll be studying show up in these questions on delegation. Nursing school will talk about infection control early on. However, as the various content areas progress, it’s relegated to the “this still applies but isn’t talked about” section of the curriculum. These questions may ask what PPE to wear when dealing with patients, what types of rooms to assign patients, and other various precautions with dealing with diseased patients. I was surprised how many questions came up under this category. And….. yet again, these questions will integrate your knowledge from the first week of school to the last. So to recap, these 3 subjects you need to know before taking the NCLEX-RN. These questions are the most difficult you will find on the exam as they apply a large breadth and depth of knowledge. But now you’re prepared! So armed yourself with knowledge and you’re ready to finish strong. Good for you! As always, let me know if you have any additional advice to suggest! 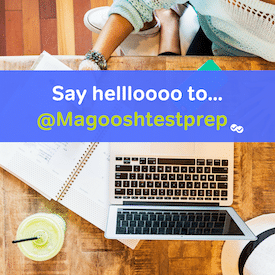 Also, check out more of our NCLEX-RN study prep posts at the Magoosh blog here. Am I Ready for the NCLEX-RN? How Will I Know If I Passed the NCLEX-RN?